Richard Reynolds creates amazing floral images. With an almost magical ability, the artist brings each of his subjects to life. 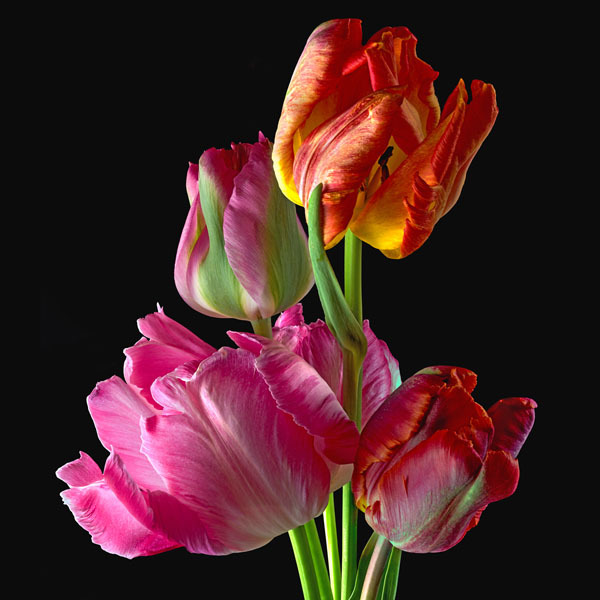 With a palette of reds and pinks, these tulips are almost beyond description in their beauty.